I know that Susan did not WANT to use 'doubles' and, in fact, did some pretty daring stunts, even in the face of danger. But when I think of scenes like in "The Conquerer", when she is running to escape and John Wayne (or a 'double'?) scoops Susan up onto that galloping horse, I really get curious! That is some risky stunt to perform!! I like to think of myself as always having been a daredevil---but---you could count me out for THAT scene! Because there are so many films that I have not yet seen with Susan, I really have no idea how often she was called upon to take risks. 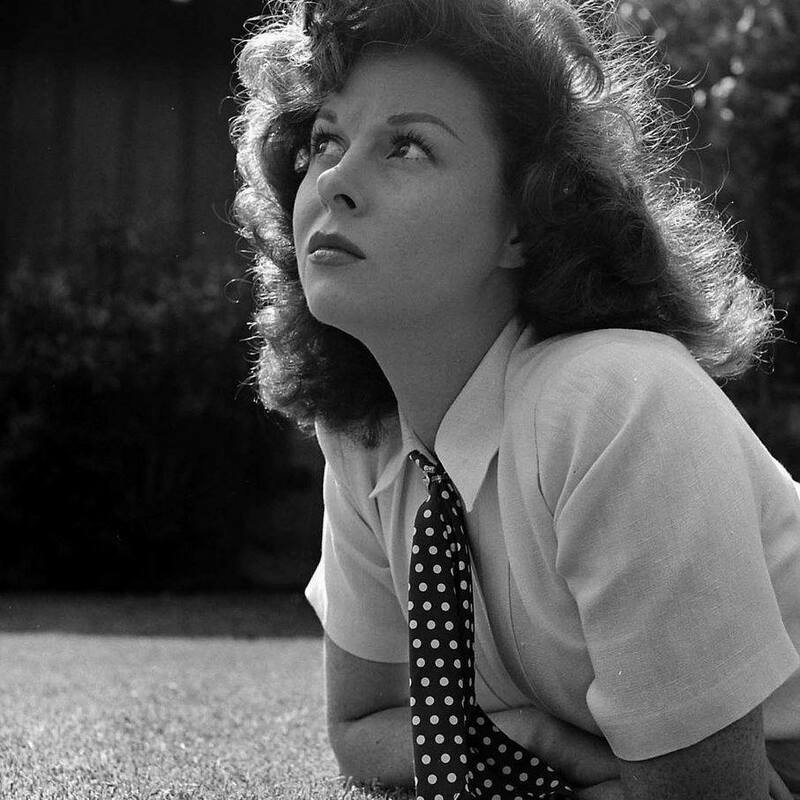 I do know about the story of her and Paulette Goddard with the logs and fire, and I so admire her for saving that little boy's life in "Garden of Evil". But what she was called upon to do in other films--and whether she felt forced for the sake of the film not to risk injury--I am curious about! Thanks for any info that members may have! Re: Did Susan Ever Have to Use 'Doubles' for Risky Scenes? think of many films she would have had to use a 'double'. You have mentioned the 'two' films that might have required a 'double'..but it is quite obvious in GARDEN OF EVIL she is riding...because she is on a horse throughout most of the film. when she is walking down the N.Y. street and first you only see the back of her head...but Susan had a 'special walk' that was truly hers..I think, because of the accident when she was a child. It only shows at certain times, but I would doubt that 'her walk' could have been copied. Thanks for your answer. You know, it had never occurred to me that 'back of the head shots' might not be Susan's! Silly me, I should KNOW, as Alice worked as a stand-in for an actress.....drat, what was her name....AH! Lee Grant, and she was often called in for that sort of work, when Lee Grant was not needed. Actually, just thought of someone who might be able to fill me in on my 'risk taking' question about Susan......no other than.....TIM! Errol, thanks for getting back to me! perhaps he might answer both questions! Regarding using Doubles for Susan - Errol has mentioned the scene in BACK STREET which was so obviously not her. Other scenes I can recall are taking place in MY FOOLISH HEART and WOMAN OBSESSED. In the former, a woman is seen getting out of a car with much thicker legs than Susan - then going in to become Susan being told that Dana Andrews has been killed. In the latter, Susan runs out of her cabin and across to the barn - it obviously is not her. Now on to THE CONQUEROR. I have in one of my scrapbooks, a copy of a letter which John Wayne sent to his Stunt Double thanking him for his work and wishing him a Happy Christmas. This was probably sent for Christmas 1954. As far as I know, Susan did all her own stunts on horses in this film. I am especially remembering when Wayne's double scooped her up and rode off with her on the horse. I quote now from choreographer Bob Sidney who showed her the dance routines in THE CONQUEROR and became quite friendly with her - "Susan was afraid of nothing - she jumped those horses herself side-saddle" so we can presume she didn't have a "double" on that film. .....(NOT!!) (lol)...But we (THEY) try to put on a 'good show'. I grew up in the religion and still find them 'snobs and liars' who look down on 'all Mormons and others' who do not attend 'their church' each week. I did all that..until I got out into the 'real world' and knew there were good and bad people throughout the word. But was 'taught' that everyone was 'bad' that wasn't of our faith. Hey Everyone. I'm hoping someone can help me. I've been looking for a particular picture of Susan. I'd like to have a "color" picture of Susan with her long hair. Maybe something from Demetrius and the Gladiators, Reap the Wild Wind, etc. I'd prefer it to be a somewhat glamourous picture of her...bud beggers can't be choosers. If anyone knows a site where I can look through some pictures I'd really appreciate it. Thanks a lot. P.S. I think Susan doesn't get enough attention and remembrances as she deserves, don't you? I am so very sorry for overlooking your note. You may have found what you wanted by now, but if you go to my Facebook page tribute to Susan you will see hundreds and hundreds of photos in the photo albums section of the site. Many are just breathakingly beautiful. Again, I apologize for the oversight.